Submitted by hpaadmin on Friday, April 6th, 2012 at 5:19 pm. 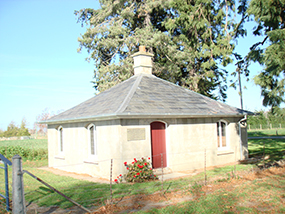 The Historic Places Mid Canterbury regional society is to be Launched on ANZAC day 25th April 2012. Join us for an afternoon of heritage celebrations on ANZAC day at Mid Canterbury’s historic jewel, Barrhill Village. 1.00-4.00pm, Corwar Lodge will open (a small charge applies). 2.00pm, Barhill Cemetry Visit - Ashburton Familly History Group (a gold coin donation in the billy). 3.00pm, Barhill Interpretation Panel unveiled followed by afternoon tea (a small charge applies). Barhill Villiage is on the Rakaia Barrhill Methven Road, 16.9km inland from Rakaia township. Organised by Historic Places Mid Canterbury, all interested people are invited to attend. The afternoon celebrates the unveiling of an interpretation panel to inform visitors to Barrhill of the village’s interesting past. The unveiling takes place at 3pm and is followed by afternoon tea and ANZAC biscuits in the Barrhill hall. A small charge applies. The interpretation panel is the final project for the Ashburton Branch of NZ Historic Places Trust in conjunction with the Barrhill community. A bill before Parliment plans to disestablish all NZHPT branch committees later this year. However, a new heritage group, Historic Places Mid Canterbury, has been formed and will be celebrating its launch this same day. 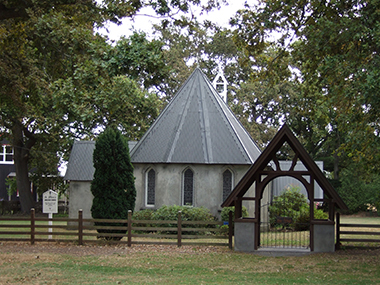 Historic Places Mid Canterbury is part of Historic Places Aotearoa. At 2pm visit the Barrhill cemetery with the Ashburton Family History Group. Listen to interesting stories of the early pioneering families and characters of the district. Hardship, triumph and sadness all mingle to bring this fascinating history alive. War heroes will also be remembered on this ANZAC day. A gold coin collection ‘billy’ will be passed around. The Barrhill cemetery is located 400m from Barrhill Village. Just 800m up the road from Barrhill is Corwar Lodge. This will be one of the few occasions the lodge doors will be open to welcome visitors. The quaint 1870’s restored cottage was originally the gate keepers lodge for Barrhill founder, Scotsman John Cathcart Wason, who built a large homestead nearby. Corwar’s four small rooms housed many a family over the years and it is kitted out with furniture and fittings of the era. A small charge applies. The lodge will be open from 1pm to 4pm. Barrhill’s St John’s church is situated in the village and the doors will be unlocked. The beautiful little church held its first service in 1877 and the lych gate was built for the centennial of the church as a tribute to Wason and other pioneers. Barrhill is a charming village with historic buildings and tree lined avenues. In its heyday the village housed not only families of Corwar Estate workers, but also the commercial premises of a baker, blacksmith, bricklayer, post office keeper, hotelier and gardener. The 1877 village plan featured 28 sections marked around a central market square. Elms, oaks, limes and sycamores were planted, along with an avenue of birches on the east and oaks on the west. It was not until an aerial photo was taken in 1975 that locals realised the central oak trees were planted in the shape of three interlocking circles suggesting the symbol of the Trinity, with St John’s church as the focal point. Barrhill is just the ideal place to spend a nostalgic afternoon this ANZAC day. It is located on the Rakaia Barrhill Methven Road, 16.9km inland from Rakaia township.